Outlines the moral and cultural nature of historical paradigms for studying economics—the Nature paradigm of classical Greece and Rome, the God paradigm of medieval and early modern Christians, and the Reason paradigm of the Enlightenment—as well as reasons these paradigms passed away. For 2300 years the economy was rooted in imperatives that were seen as a permanent part of human nature. This is a point on which ancients, medievals and moderns largely agreed, and in each age predominant thinkers defended it using similar arguments. 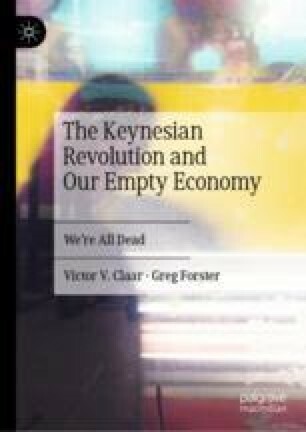 This is the integration of empirical, moral, and cultural observation in our understanding of economics lost its grip among leading economists in the late nineteenth and early twentieth centuries and was replaced by the new vision: the Keynesian Revolution. Washington, George. 2017. Washington’s Farewell Address. Yale Law School Avalon Project. http://avalon.law.yale.edu/18th_century/washing.asp. Accessed 2 Feb 2017.